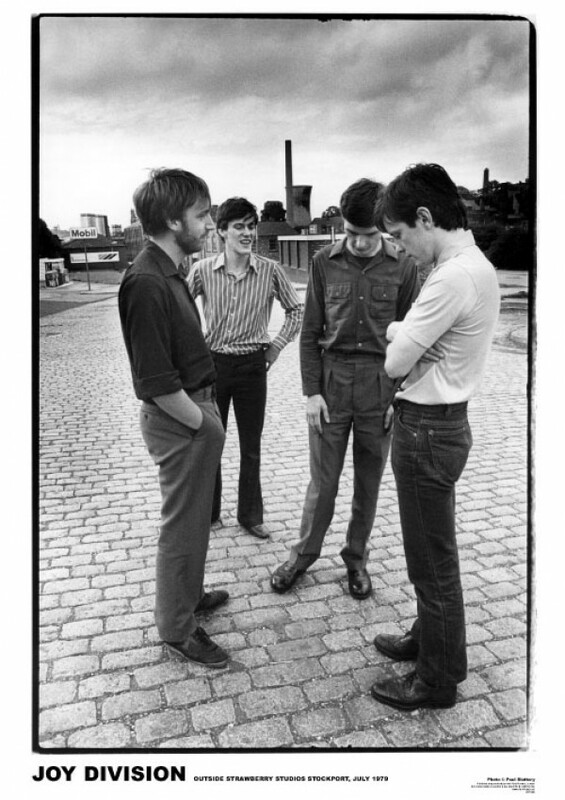 Music posters - Joy Division posters: Rare Joy Division poster featuring a photograph of Manchester's Joy Division outside Strawberry Studios. 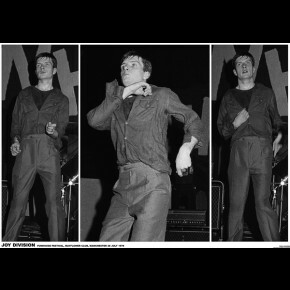 Poster features Ian Curtis, Bernard Sumner, Peter Hook and Stephen Morris. An independently published Joy Division poster by Art-i-Ficial.